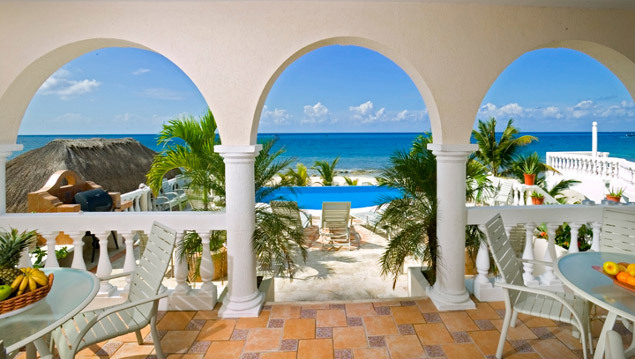 Vacation home rentals are very popular at this time of the year. But with so many properties available for vacation rentals, especially those in and around popular destinations, it can be hard for property owners to attract renters to their particular vacation homes. A well-made vacation rental virtual tour can give you a competitive advantage in marketing your vacation home rental. Whether you’re a property owner, a real estate agent working with vacation homes, or a virtual tour provider looking to expand your customer base, creating vacation home virtual tours is a great place to start. For most vacationers, choosing a vacation home is an important investment. A listing that describes the layout and the amenities can be helpful, but being able to see the property is more important. However, many people on vacation are unable to visit the vacation rentals they’re considering, since they have to travel for the vacation itself. With a virtual tour, you can give potential renters the experience of seeing your vacation home live. An interactive virtual tour is more impressive and engaging than static photos, and will make it easier for vacationers to fall in love with your property and decide to rent it—they’re able to envision themselves there, already enjoying their vacation. What’s more, a virtual tour offers customers reassurance that your property actually has the features and amenities described in the listing, and that they meet the expectations of the renters. The foundations of a great virtual tour start with using a professional RTV virtual tour photographer for your photo shoot. Using a professional to do your photo shoot and vacation rental virtual tour will insure the quickest turn around time as well as insure that you’re getting the most out of your production. Your RTV photographer has expertise in blending high definition images with full motion video, scene by scene captions, music clips, voice overs, floor plans, hot spots, AstroZoom Space fly-over and more. To truly bring your vacation property to life for potential renters hire out your photography and virtual tour service to one of our professional photographers. When you have a completed virtual tour for your vacation rental property, be sure to post the video on your website, YouTube, and any other online destinations where vacationers look for rental property information. Remember that RTV is an approved photography supplier for HomeAway.com and VRBO. Be sure to reach out to these outlets to post your listing too! Enjoy more bookings with a fantastic virtual tour that sells your vacation rental for you! As more and more consumers turn to the Internet to shop, first appearances are the most important impression, especially when it comes to selling a home. “A photo is worth a thousand words,” said David Elya, president of the Metropolitan Consolidated Association of REALTORS who works at Realty Executives Group in Shelby Township. With listings now available online, quality photography of a home is a major marketing tool, he said. Elya, like the majority of Realtors, takes pictures of his clients’ homes himself with a digital camera. He suggests playing up a home’s best features and taking wide-angle shots of the front and back of the house, as well as key rooms including the kitchen, family room or great room – and skipping less inviting areas such as bathrooms and basements. If the house is seated on a corner lot, take a panoramic shot of this valuable asset. Keep outdoor photos up-to-date with the current season, and make sure all indoor shots are free of clutter. “Stage it in the best way,” Elya added. Ruth Clevers, a Realtor with Weir Manuel Snyder & Ranke in Birmingham, agrees. “You want the composition to be good,” Clevers said. Clevers also photographs her clients’ homes herself so she’ll have better control over the quality of the pictures, which the marketing department at her company can adapt to best fit their Web site. “Nighttime pictures with the house lit up are becoming very popular,” she noted, adding that these pictures usually turn out very well. For vacant houses, which are hard to display in pictures because of the large empty spaces that may be visually unappealing, Clevers seizes the opportunity to capture images of the house’s backyard and neighborhood, giving the consumer something more positive to remember the house by. She also uses a computer program to stitch together panoramic shots into a virtual tour of the home, another popular feature of online listings. “I love the ones that have the virtual tours,” said Susan Dahlstedt of Bloomfield Hills, a client of Clevers’ who is looking to purchase a home. For Dahlstedt, online tours of homes save a lot of time in the house-hunting ordeal. Clevers sends her listings of homes that she might be interested in through the Internet, and Dahlstedt can check each house out on the Web site before deciding whether to actually visit the home. It is surprising, especially given the fact that, according to a recent online research study, the average number of words in a house listing is just 32. It is great to see articles out there that encourage more imaging. Images, both interactive virtual tours and high quality still images, are essential to effectively marketing homes. Real Tour Vision has a vast network of virtual tour providers that can not only create a high quality 360 virtual tours, but also provide beautiful still images for print or web use. Our virtual tours also have some great add on features to really highlight a property and make it stand out. Our virtual tour providers can add 2D and 3D floorplans to a virtual tour. We can even create custom 3D walkthroughs for a location. These are an amazing tool for showcasing any kind of property. Another great add on we have are single property websites advertised with a Panorider. The Panorider is a sign that hangs under the yard sign. It has a full color panorama of the property and includes a website that uses the home address as the website name. This is definitely an attention getter, especially for driveby/passerby shoppers. Contact Real Tour Vision today to learn more about our virtual tour services and to find a virtual tour provider in your area. We have full coverage across the United States as well as providers in other countries. Our company Southern Resorts first got into the 360 virtual tour arena in 2001 with IPIX. We manage over 400 vacation beach homes, cottages and condos on the Northwest Gulf Coast of Florida. All of our properties are individually owned. As an effort to save the owners’ money and time we learned how to shoot the tours, stitch and upload to our website. We were the first company in our area to display 360 tours on the majority of our rentals. It has been a huge success. The owners love it and the guests feel like they really know what they will be renting even more so than with the still pics we post on-line. After years with working with IPIX and two cameras later, I needed another camera and tripod. As I tried to communicate with them, I soon discovered it was useless. I searched desperately for another Virtual Tour Company. Research on-line led me to Real Tour Vision. After one phone call I was a believer. I loved how easy it was to communicate with the team. The virtual tours are beautiful and I could not be happier. We want a custom look so chose to remote host our tours. The turn around time has been phenomenal. Here 6 months later, I have only now started adding audio. I wish I had sooner. The free music clips add a lot to the touring experience. Why Virtual Tours in Detroit? Did you know that 85% of today’s buyers start their search online and that the average age of today’s buyer is in their 30’s? Do you think those buyers are starting their real estate searches in the newspaper? Absolutely not. Today’s buyers turn to the Internet first. Having a top-notch online presence maximizes each of these critical facets of your business. That’s where RealVisionStudio comes in. Keep in touch with your clients automatically. Your new virtual tours won’t work if they are not seen. Our Exposure Engine marketing package will syndicate your tour link through all the major internet real estate marketing channels and make your tour ‘iPad ready’. The weekly tour traffic reports will prove the value of this service. Don’t let over-exposed windows, crooked walls and poorly designed tour viewers detract from the offline image you’ve spent lots of time and money to develop. If you’d rather stick to what you’re good at (being a top-notch Realtor) we’ll be glad to take care of the boring stuff (making great photos and studying internet marketing for real estate) so you don’t have to. Are you an avid golfer? Don’t want to pay the high greens fees at courses you’d like to play? Why not contact golf club managers and ask if they would be interested in a virtual tour? Not only can you shoot the virtual tour of the golf course itself, but many clubs have a driving range, putting green, banquet facilities and clubhouse that can be included in a tour. Some managers won’t want to spend the money for a virtual tour, but are more than willing to barter for free golf! I have produced Virtual Golf Course Tours for premier clubs in Las Vegas that have traded for free rounds of golf, plus received payment as well. It’s a win/win opportunity for all involved. The golf club gets to showcase their facilities online and you get to golf for free! The only thing you’ll have to spend is time…doing what you love!